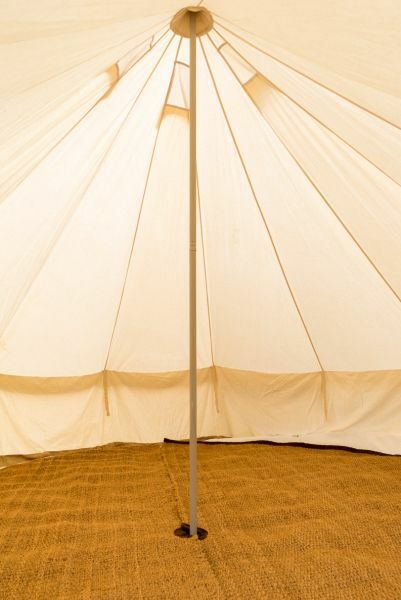 The 4M Bell Tent Lite, The lightest bell tent in our whole range. Weighing only 14.2kg! 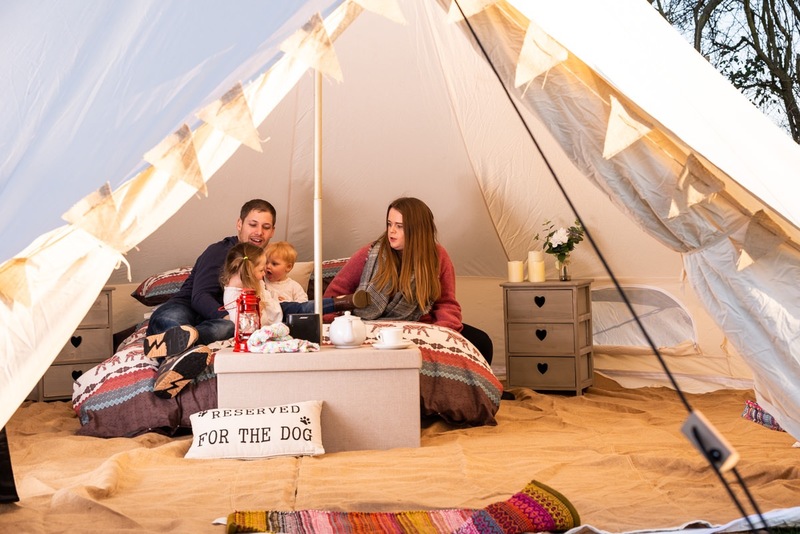 Introducing this ultra-light bell tent to the bell tent family. Although it’s not canvas, it’s just as durable and waterproof as canvas and far easier to keep clean. 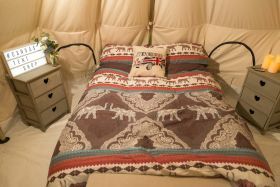 It is a great family tent and can be used for the ultimate glamping experience or even as extra accommodation at home. 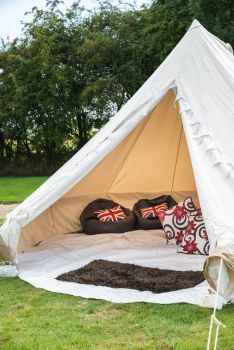 The 4m Bell tent Lite weighs only 14.2kg. Making it extremely easy to transport and manoeuvre around. Meaning that is also ideal for festivals, weekends away or an addition to the Garden. The peg ties around the bottom of the tent even have an easy tighten system. This tent can be erected by one person in 15 minutes, it’s even quicker to take down! The tent also comes in a handy carry holdall, it simply packs away and will fit into all car boots. The Oxford Canvas, is a synthetic man-made fabric. 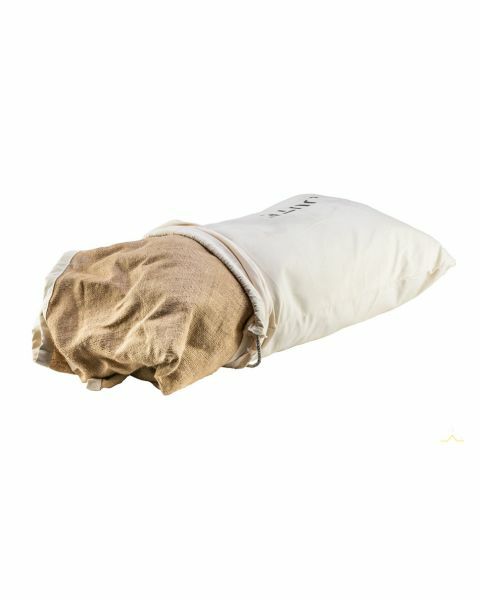 It’s is a more lightweight and durable version of 100% cotton canvas and It is fully waterproof straight out of its bag. Oxford canvas is a stronger based material and will not hold mould or mildew. Not only is it more lightweight and versatile it’s a lot easier to maintain than 100% cotton canvas. We Love canvas tents here at Canvas tent shop however we have designed this tent with price, weight and durability in mind.